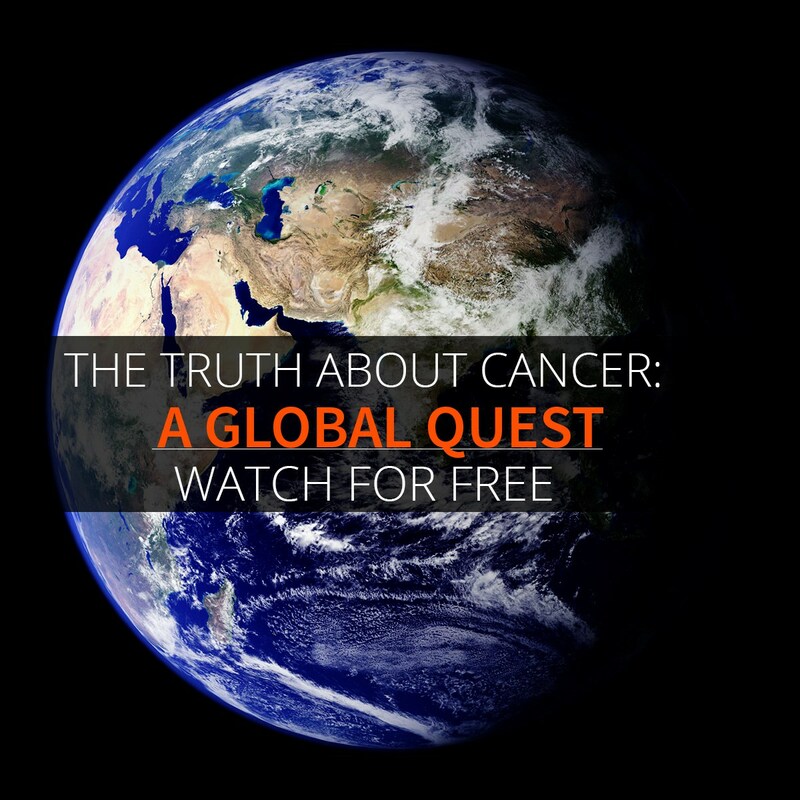 You or someone you know who has cancer will benefit from watching this docuseries called the The Truth About Cancer, The Global Quest. I watched it the first time a few months back, and was blown away with the information brought from around the world. Its vision is that cancer does not have to be a death sentence and that there are ways of treating it using less toxic methods. Ty Bollinger tours all over the world to interview 100+ doctors, scientists, researchers, and cancer survivors who are breaking their code of silence to reveal to you insights and solutions that you have never heard of before. Just click on this link, The Truth About Cancer – A Global Quest and enter your name and email address to watch it. The first picture you see is a hyperbaric oxygen tank which is something that Tara Hill is using as part of her cancer treatment. You may recall reading about her in our previous article a few weeks ago. You can reread about her alternative treatment here. The series starts next Tuesday, April 12th and runs for 9 days. You will not want to miss the wealth of knowledge coming from these people. Write down their names, research them, sign up for their emails and follow them. Thanks Ty, for bringing us this information! A nonprofit grant that you will love! At last, a nonprofit grant that you will l♥ve because it promotes the well-being of the cancer patient seeking alternative or integrative treatments! A case in point is this summary of a phone call I received last week from a woman who has cancer. Briefly, this is what transpired from our 30-minute conversation. She consulted with a conventional doctor about the treatment plan he had for her which included surgery, chemo, and radiation. The woman did some research beforehand and knew enough to ask about the food that she should and should not eat and specifically if she should eat sugar. He said ‘eat whatever you want’. For her, this conversation confirmed, she did not want to use the conventional chemo and radiation treatment. Soon afterwards and to her amazement, she saw Answers for Angels’ brochure at Energy Nutrition in Frankfort, which prompted the phone call! She was in seventh heaven because she did not know that 1) there are integrative cancer clinics in the Chicagoland area and b) Answers for Angels provide a grant that can help her pay for the consultation to an integrative doctor and for some of the prescribed supplements and treatments! Moral of the story…know your cancer treatment options and know that we are here for YOU and because of YOU! If you are a cancer patient or you know someone who is, then check out our grant opportunity from Answers for Angels. The grant program helps cancer patients visit integrative oncologists and complementary health practitioners that many health insurance policies do not cover. Answer for Angels’ grant is meant to promote physical, mental, and emotional health and to balance the mind, body, and spirit. To apply for the grant, visit the Answers for Angels’ website at http://www.AnswersForAngels.com, and click on the Grant Application page. Posted on February 1, 2016 Author kdafa2Categories Grant ApplicationTags cancer patients, complementary health practitioners, Integrative, Well-beingLeave a comment on A nonprofit grant that you will love! We wish you good health, which is why we’re forwarding this info about natural & alternative solutions to preventing & healing cancer in this 9-day docu-series ‘The Truth About Cancer – A Global Quest’ which airs tonight, October 13, 2015 at 8pm Central time in the U.S. This series has 100+ doctors, scientists, & survivors (including Chris Wark from ChrisBeatCancer.com & another from surviving pancreatic cancer) from 27 countries who’ve integrated to show you that cancer can be prevented & reversed. Answers for Angels researched & read a dozen books for the past few years to find the answers as to why we get cancer & how to best heal from it. All that information is summed up in this 9-day series. At last, a nonprofit grant that you’ll love! At last, a nonprofit grant that you’ll love because it promotes the well-being of the cancer patient seeking complementary or alternative treatments! Are you a cancer patient or do you know someone who is? Then check out this new grant opportunity from Answers for Angels, a non-profit organization that offers programs and services to support individuals and/or families impacted by cancer. Answers for Angels offers a unique grant program that helps cancer patients visit integrative oncologists and complementary health practitioners that many health insurance policies don’t cover. Complementary health practitioners help cancer patients manage the side effects from chemo, radiation, and surgery such as cognitive dysfunction, pain, nausea, etc. Answer for Angels’ grants are meant to promote physical, mental, and emotional health and to balance the mind, body, and spirit. To apply for the grant, visit the Answers for Angels website at www.AnswersForAngels.com, and click on the Grant Application page. Posted on March 5, 2015 October 8, 2015 Author kdafa2Categories Grant ApplicationTags cancer patients, complementary health practitioners, Well-beingLeave a comment on At last, a nonprofit grant that you’ll love!